Archie Rose is an Australian distillery that has quickly made a name for itself in the local and global markets. Being recognised by some of the highest international authorities in gin making, such as the American Distilling Institute Craft Spirits Awards and the International Wine & Spirits Competition to name a few, the distillery now proudly boasts numerous awards across all of its distinctive products, their signature gins in particular. Their unique recipes make their spirits distinctive in taste and aroma, and their gin can be easily recognised due to the detailed work on the packaging and the creative aspect they imbue their brand with. Other than landing a World’s Best Spirits Packaging Award, the spirit is particular in its aroma, strength and flavour intricacy. The Archie Rose gin is designed with a need to bring artisanship and science together in creating a symbiosis of taste and balance, complemented with a kick and a twist. Upon opening, the overwhelming fragrances of juniper paired with subtle notes of local beehive honey create a feeling of intimacy and paint a picture of nature and serenity. However, the delightful twist comes upon tasting, as the combined flavours of as much as fifteen individually distilled botanicals take the centre stage. The locally sourced herbs, spices and fruits play wonderfully with the stronger note of 52.4% ABV, allowing the elderflower and rose petals to come to life along with an ever so slightly present taste of ripe pears. The stronger alcohol ratio paired with numerous natural ingredients make this drink a true delight for all spirit lovers, but it also boasts a certain value that can’t be replicated with the low price, off-the-market shelf spirits. This is certainly a drink intended to be enjoyed with a touch of class, rather than as a mere base in popular cocktails. And speaking of the art of mixology, this daring spirit can be served in a number of ways. Of all the clear spirits, gin makes every drink, and every event, taste better. 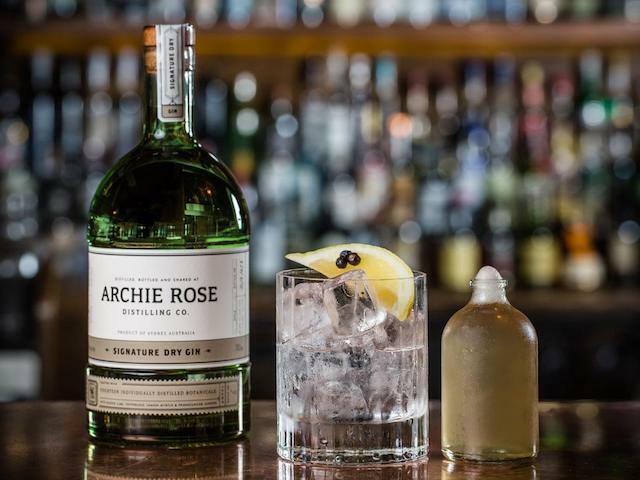 The distinction between the Archie Rose gin and other spirits lies in its ability to be infused in every cocktail as well as its ability to stand alone as an exquisite drink. 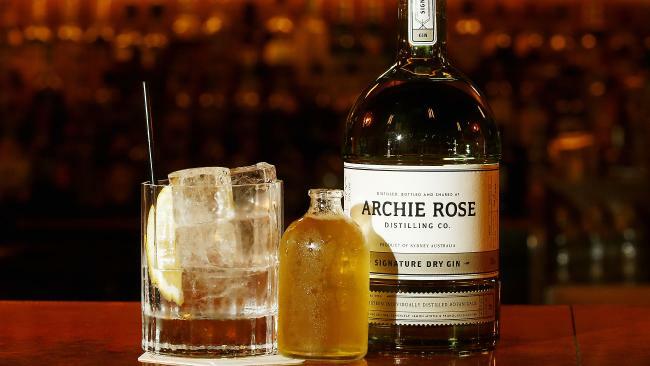 The problem with the majority of modern gins is that they exclusively serve as a flavourless base in cocktails, yet with Archie Rose, the art of mixology is taken to a completely new level. You have to be subtle and prudent in your use of ingredients in order to complement, rather than extinguish, the unique tastes that make this drink so great. Otherwise, the spirit can be served on its own, as the rich, opulent flavour allows it to stand alone as a worthy adversary to any liquor of choice. Archie Rose has certainly put the necessary effort that complements their brand. It is no wonder that their spirits continue to conquer the artisan world of liquor craftsmanship, making their way to numerous popular bars all around the world.